Between its Beyonce cover commercials and custom-designed One Direction Civics, you may get the impression that Honda is only into mainstream musical acts. Not so! 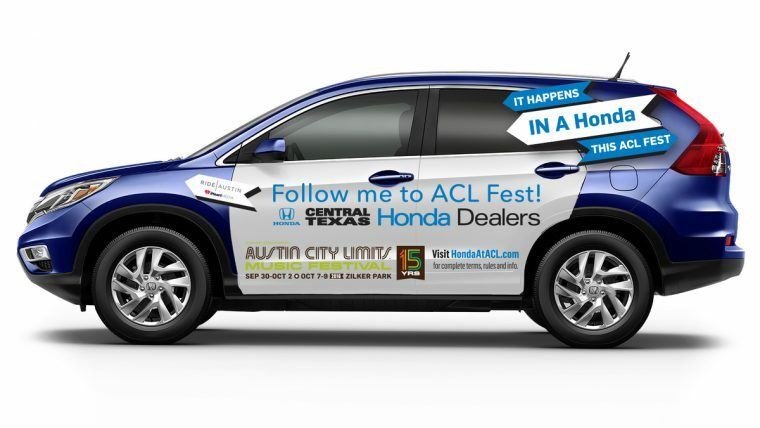 In fact, as if to prove its hipster bona fides, Honda announced today it will be giving concertgoers free lifts to the Austin City Limits Music Festival, which is being held over the weekends of September 30th – October 2nd and October 7th – 9th. The “Hail A Honda” rideshare program is a collaboration between Central Texas Honda Dealers and Ride Austin, the city’s non-profit rideshare company. The partnership is just the newest feature of Honda’s long-running sponsorship of the ACL Festival, which is now entering its eighth year. To hail their Honda, festgoers should use the Ride Austin App, which can be downloaded at HondaAtACL.com. From 11am to 5pm daily, a maximum of four passengers per vehicle can request a ride, and they will be picked up in a specially wrapped 2016 CR-V SUV. Not only that, but each rider will receive complimentary chilled water and a free bandana, which attendees can presumably use to cover up their hideous white dude dreadlocks. 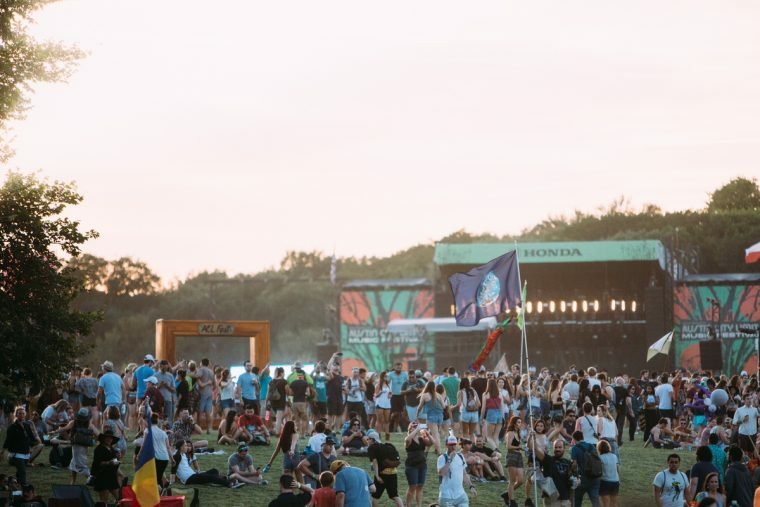 “The new ‘Hail A Honda’ program is a great way to extend our long-standing partnership with the ACL Festival and offer festivalgoers an even better experience with a free ride to Zilker Park to enjoy their favorite bands and experience some of our newest Honda products,” said Honda National Advertising Manager Nick Lee. In addition to Hail A Honda, the automotive brand will again be sponsoring the ACL Fest Waterloo Records Honda Artist Shack, where fans can get autographs from their favorite artists, and the 2016 Honda Stage, which will be headlined this year by LCD Soundsystem, Major Lazer, and Kygo.